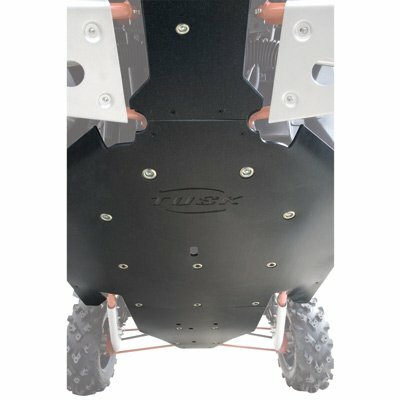 The Tusk Quiet-Glide UHMW skid plate offers the ultimate protection for the underside of your UTV. The undercarriage of your side-by-side is vulnerable to damage, and this heavy-duty UHMW skid will protect your UTV. Remember Tusk for all your side-by-side parts! Features unbreakable 3/8" thick UHMW. It allows your UTV to glide over obstacles instead of getting hung up (like aluminum). It offers front-to-back and side-to-side coverage. It is much quieter than aluminum skid plates.